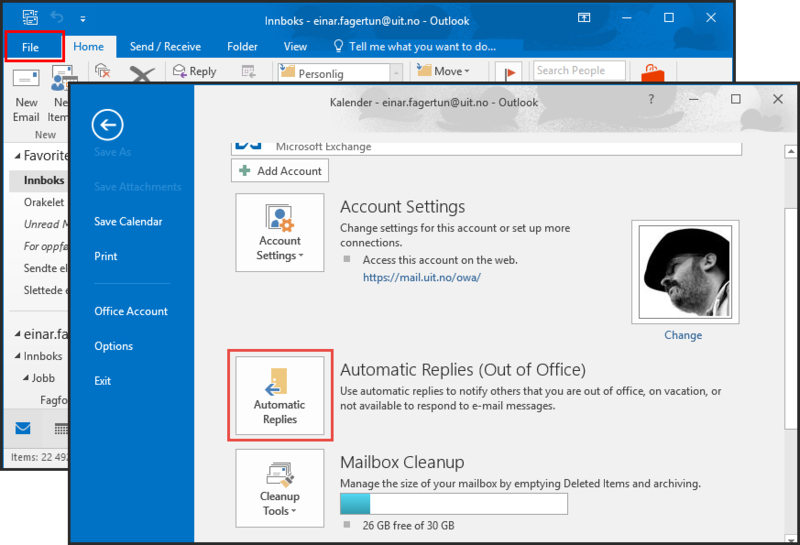 Outlook features two separate functions for out of office notifications. Automatic replies (Out of Office): This has multiple effects, but please note that these functions only affect UiT students and employees. Out of Office in the calendar: Employees who book meetings will see you as unavailable. 1.1. Select File, and then "Automatic replies"
1.2. 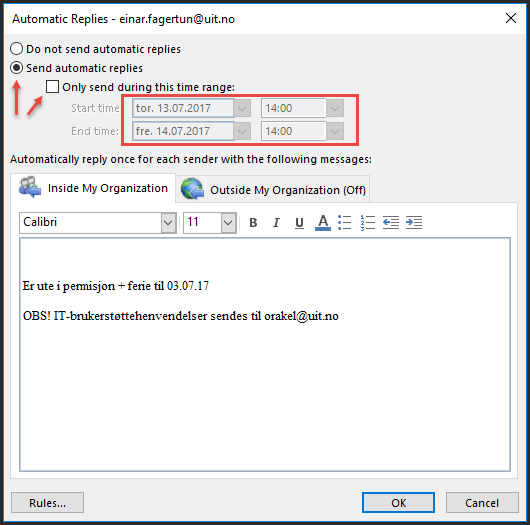 Select "Send automatic replies" and choose a time range if desired. 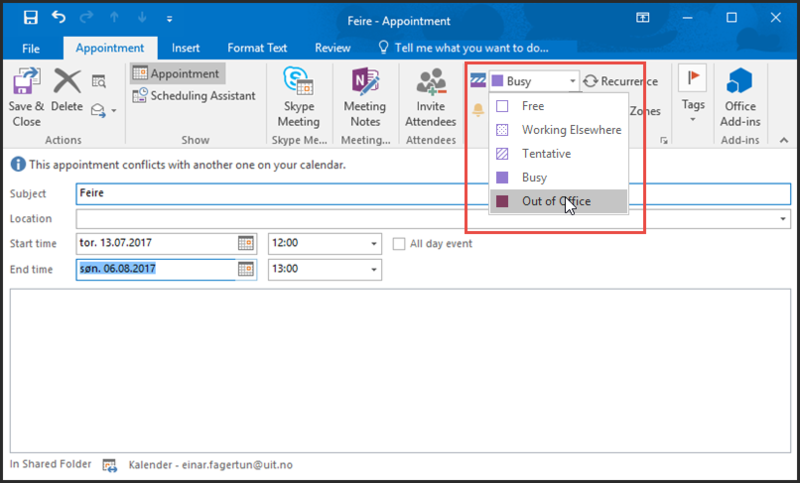 Enter the text detailing the terms of your absence and click "OK"
This function requires that you create an appointment in your Outlook Calendar and mark yourself as "Busy" or "Out of Office". This is useful for longer periods of absence (vacations, leaves of absence etc.) to ensure that coworkers setting up meetings see that you are not available.